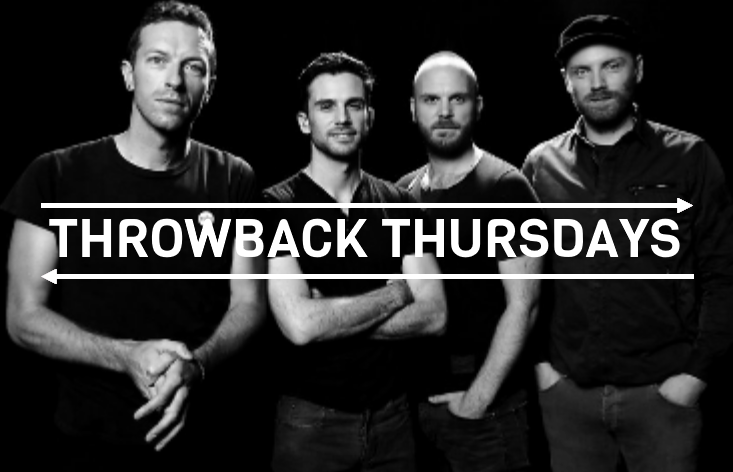 Let's review the history of Coldplay! WHO ARE COLDPLAY? LET'S LOOK AT THEIR HISTORY! Creative director and former manager, Phil Harvey, is often alluded to as the fifth member by the band. They recorded and released two EPs: Safety in 1998 and The Blue Room in 1999. The latter was their first release on a major label, after signing to Parlophone. Coldplay achieved worldwide fame with the release of the song "Yellow" in 2000, followed in the same year by their introduction album Parachutes, which was nominated for the Mercury Prize. The band's second album, A Rush of Blood to the Head (2002), was released to critical acclaim and won many awards, including NME's Album of the Year. Their next release, X&Y, the best-selling album worldwide in 2005, got mostly positive reviews, however some critics felt it was inferior to its predecessor. Their fourth studio album, Viva la Vida or Death and All His Friends (2008), the best-selling album worldwide of 2008, was delivered by Brian Eno and released to largely positive reviews, earning three Grammy Awards. In October 2011, Coldplay released their fifth studio album, Mylo Xyloto, which topped the charts in more than 34 countries, was the UK's best-selling rock album of 2011, and got mixed reviews. In 2014, they released their sixth album, Ghost Stories, which also gotten mixed reviews and topped several national album charts. In December 2015, the band released their seventh album, A Head Full of Dreams, which reached the top two in most major markets, however got generally mixed reviews. Coldplay have won numerous awards all through their career, including nine Brit Awards, six MTV Video Music Awards, seven MTV Europe Music Awards and seven Grammy Awards from 29 nominations. They have sold more than 100 million records worldwide, making them one of the world's best-selling music artists. Three of their albums: Parachutes, A Rush of Blood to the Head, and X&Y, are among the best-selling albums in UK chart history. In December 2009, Rolling Stone readers voted the group the fourth-best artist of the 2000s. Coldplay have supported various social and political causes, such as Oxfam's Make Trade Fair campaign and Amnesty International. They have also performed at charity projects, including Band Aid 20, Live 8, Global Citizen Festival, Sound Relief, Hope for Haiti Now: A Global Benefit for Earthquake Relief, One Love Manchester, The Secret Policeman's Ball, Sport Relief and the UK Teenage Cancer Trust. let me know of any coldplay opinions in the comment section below!